Learn how to identify leaders who need to build executive presence My life’s gotten better since I stopped worrying about these 4 things at work Why transparency and strong internal communication are what really help employees thrive How to use soft skills during an interview to land your dream job Craft beer breweries are drying up in the UK Children are ingesting this dangerous object more and more every year Working out is great, but doing it this way might make you live longer Are you using any of these 100,000 worst passwords for cybersecurity? As energy availability becomes increasingly critical, there’s no end to the scope and significance of your work?—?and to where it can take you at Stantec. Every day, we’re problem-solving and collaborating on projects that are as challenging as they are impactful. Whether designing a transformational cross-country pipeline, optimizing facilities, verifying the safety and reliability of an asset, or in the field overseeing construction projects, you’ll be joining a team of recognized industry experts on work that’s critical to our clients and our communities. The Oil & Gas industry is changing?—?and we’re helping clients stay ahead of the change. Join a team that’s working together with industry to deliver innovation for the long term on some of the most important and interesting projects around the world. The Assistant Construction Manager (ACM) shall report to the Construction Manager (CM) and support him/her through the completion of assigned and/or delegated responsibilities. Technical interface for field queries will play a key role for the ACM as well as assisting with cost and budget creation. Activities such as facilitating timely responses to construction issues, while ensuring solutions are shared with other project sites, will be vital. Provide leadership to the Construction Management Team (CMT). Identify and communicate risks to the PMT. Work with the PMT to understand, analyze and manage these risks. Work with the Project Manager (PM), CM and Client to manage change within the work scope. 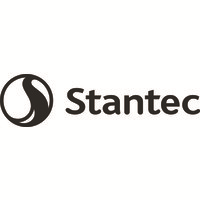 Support and comply with Stantec’s Quality Management Nine Point Framework and the Oil and Gas Project Management Framework. Ensure implementation of construction management processes and procedures (specifications, inspection procedures, quality assurance program, materials management program, HSSE requirements, cost and schedule management, etc.). Assist in the coordination of inspectioninfrastructure including issuing and managing field issued purchase orders (PO) needed for site office, site services, communications, etc. Ensure the Senior Construction Coordinator is aware of any unique contract requirements in advance of the Contractor starting construction. Participate in the review of contractor schedules (tis includes “look ahead scheduling” with the contractor to ensure overall project schedules are met). Participate in ensuring construction deficiency lists are generated, maintained and followed-up to completion prior to contractor(s) demobilizing from site. Assist in conducting weekly meeting with contractors and field staff to validateschedule progress. Post-secondary and/or 10-15 years industry experience equivalent. Minimum of 10 years of constructionexperience with at least 5 years in a supervisory role. High school & post-secondary education preferred.